Is it a tattoo? Is it jewelry? Who cares, because it's COOL! 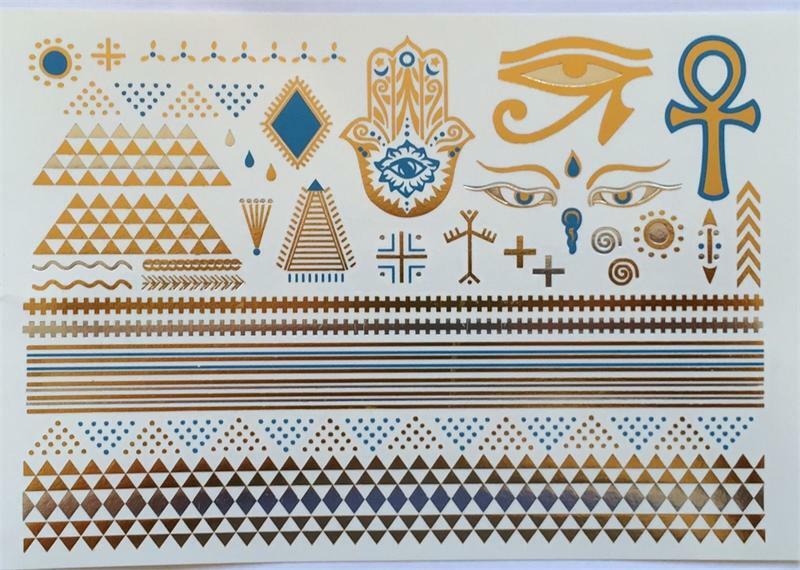 These are not your ordinary temporary tattoos. 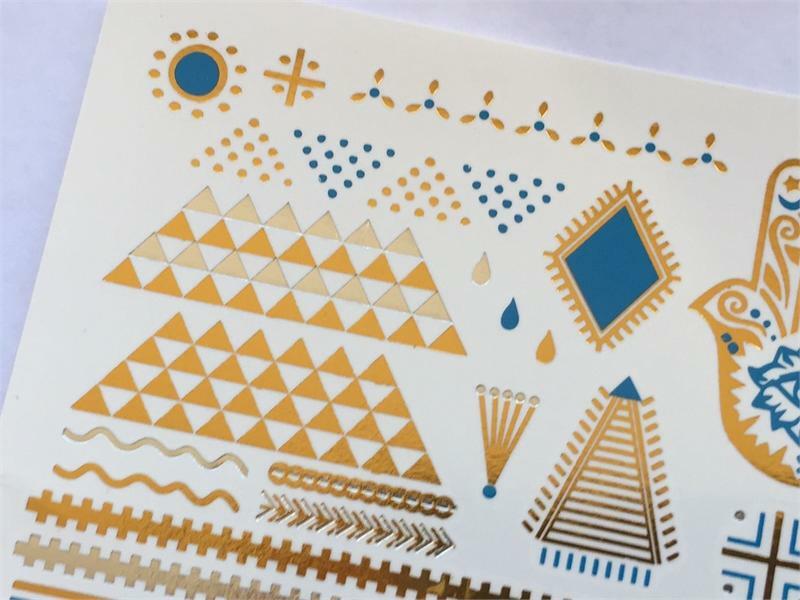 These are beachy, tropical, fashion style designs that are made from silver and gold foil that shines like metal. 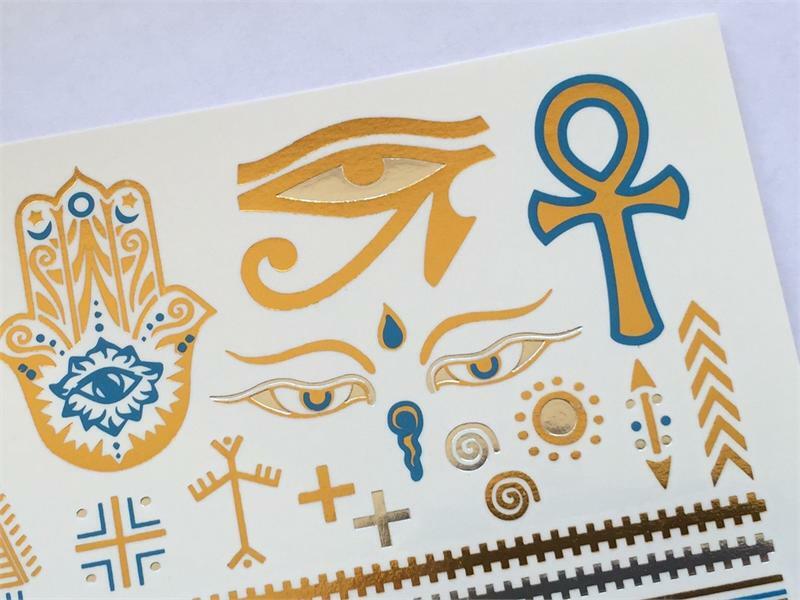 Includes 31 individual tattoos plus 4 chain designs. 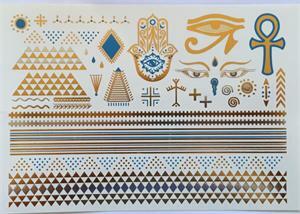 Gold and black metallic temporary tattoos with edgy and old-school tattoo designs - including knuckle tats.